At St. Anne’s (Stanley) we follow the Diocese of Liverpool Religious Education Syllabus for Church Schools. This is underpinned by the teaching of values which are central to the Christian ethos of our school. These include: honesty, friendship, understanding, hope, confidence and family. There are timetable Religious Education lessons for all of our age ranges. Collective worship is integral to our school community. 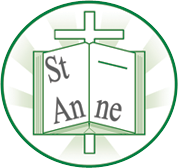 We have close links with our church St. Anne’s (Stanley) where we undertake Harvest, Christmas and Easter Services as well as 3 Eucharist services per year in years 5 and 6. Reverend Emma Williams also leads an assembly every Half Term on our value.